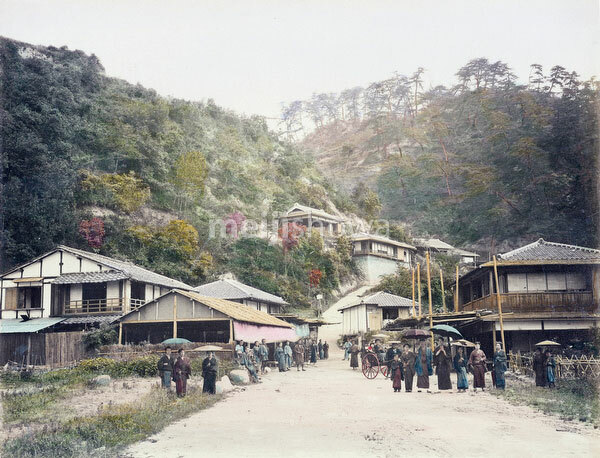 A small crowd stands on the road to Nunobiki Falls, Kobe, Hyogo Prefecture, 1880s. Nunobiki Falls was a very popular tourist attraction. This is now the location of Shin-Kobe Station.